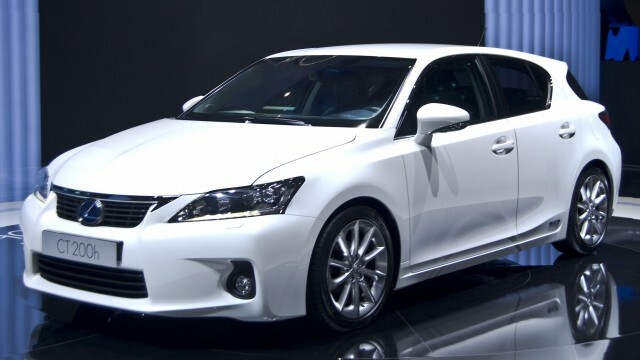 The Lexus CT 200h is the cheapest and smallest Lexus hybrid in the market. Cars from the German manufacturers like Audi A3, BMW 1-series and Mercedes Benz A class, are considered to be this car’s rival. Though the German cars offer more trims and options, the Lexus CT offers a few specifications and offers only one engine. The Lexus CT 200h was first introduced in 2010 at the Geneva Auto Show. CT 200h, CT 300h, and CT 400h are trademarked names owned by Lexus for this car. The 200h on its badge stands for hybrid performance that equals a 2.0 liter Engine. “CT” on the other hand, is considered to stand for “Creative Touring” while some car importers refer to it as “Compact touring”. The car costs about 2.5- to 3.0 million rupees in Pakistan. The car comes with a Four-Cylinder 1.8- liter VVT-i petrol engine, which is pretty much the same as the Prius. The engine along with its generators and electric motors in the hybrid drive system, produces 134hp and 207 Nm of torque. This engine power is sent to the front wheels through CVT transmission. The Lexus CT 200h goes from 0-100 km/hr in 10.3 seconds. Its officially announced average mileage is 4.1L/100km. The chassis is based on the platform used by Toyota Corolla and the Toyota Matrix. 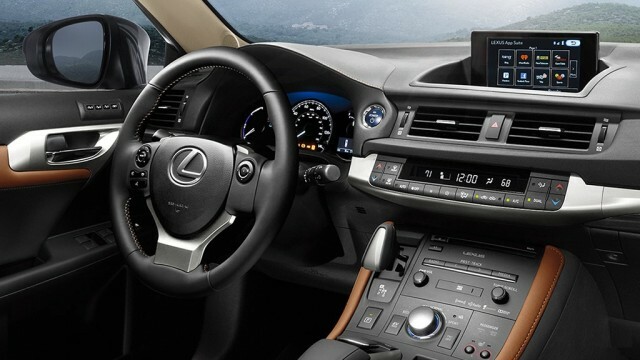 The Lexus CT 200h has four driving modes; Normal, Sports, Eco, and EV. Sports mode unleashes the power of the engine completely and modifies the feel of the electric steering, making the car more stable. The EV mode (Zero emission mode) makes the car run completely on its electric motors, which makes the engine emission-free. The CT 200h comes with 7.0-inch display, 10-speaker audio system; though some variants come with 6-speakers, 8 standard airbags, vehicle stability control, cruise control, smart start, leather wrapped on gear lever and steering. 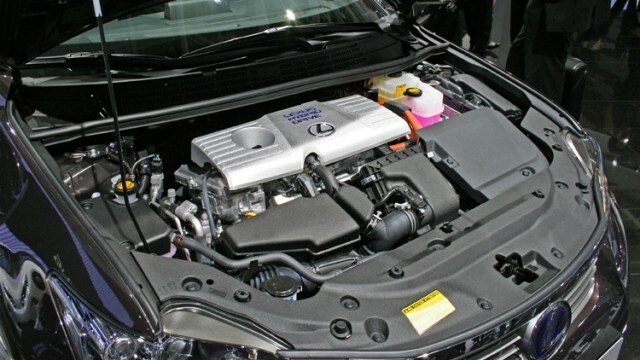 This Lexus hybrid hatchback comes with the ideal safety features. It has daytime running lamps, a reverse camera, and flashy emergency brake lights. 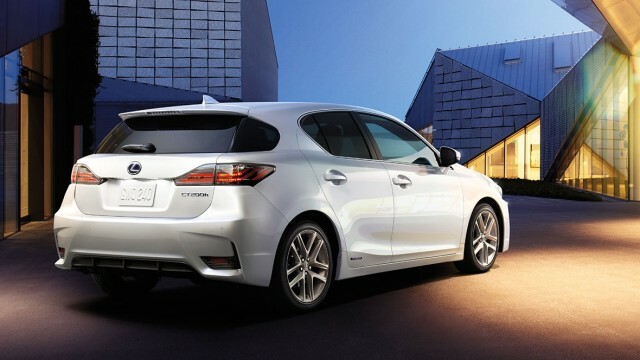 The Lexus CT 200h is considered to be an aggressive yet luxury looking hatchback. The new interior, the “spindle” grille and the new rear bumper give the car a bold look. It also has improved LED headlamps. The car has a firm feel to it, though Lexus has made improvements on the suspension and revised the design of the shock absorbers. They have made changes to the coil springs and made the front and rear stabilizer bar larger. This makes the ride smoother. The engineers at Lexus have also added body braces, which have increased body rigidity and have greatly reduced noise and vibrations. Though all hybrids are quiet, the CT 200h is spookily quiet. The Lexus CT 200h is a great hybrid and a good alternative to the Toyota Prius, though their engines are pretty much the same, you could go for the Lexus if you like the stylish “L” badge. no mention of air bags and ground clearance at all? I suggest you pursue that because your articles are absolute garbage. The sentence was “The 200h on its badge stands for hybrid performance that equals a 2.0 liter Engine.”. it equals the power of a 2.0L engine, its actually a 1.8L engine. Hence the name CT 200h.. The sentence is confusing. Writer/editor should keep in mind that the target audience is Pakistani people. Pakistan is a highly diverse country and your readers come with over 40 mother/native/first languages. Each person interprets English according to the grammar of his/her native language (and for 92% of the Pakistanis, it is not Urdu). What is the confusion in your sentence? You did not write the sentence in a confusing manner, however, it is confusing depending upon the first language of the reader and his/her English reading ability, the reader may give precedence to the “200h” or “hybrid performance”. In other words, when the reader’s brain processes your sentence, the brain pieces the information together, and asks itself what equals to 2.0 liter? Depending upon the background and foreground and what not, reader can attach 200h to 2.0 liter, more so because competing brands such as Mercedes and BMW also have similar nomenclature for their cars. You’ll see the complexity when you try to learn a few more languages. Yes, we get it. You know more than one language. Get over yourself. Samiullah, I think it’s a very good quality write up, informative too, and it does sounds very professional. Looking forward to more … I’d like to know Samiullah’s opionion and review on Ashton Martin cars …. Would you agree that the Ashton Martin cars lives up to the brand’s slogan, “Power, Beauty, and Soul”? lol@ Ashton Martin… u sure you aren’t talking about a prawn star? Hey Guest, that’s not even special since most Pakistanis are already multilingual. You would routinely find people in Pakistan who know Pashto, Punjaib, Sindhi, Urdu and English. 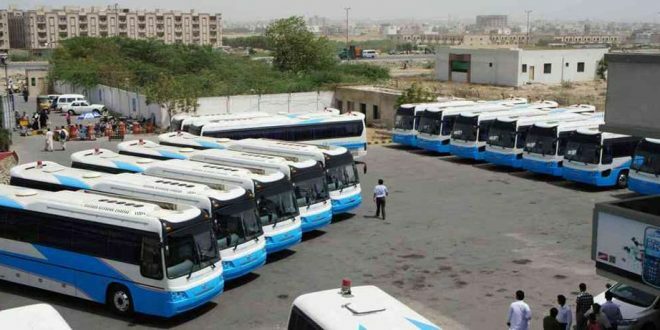 Some of them know Farsi, some Balochi, and there are many other languages examples such as Gojri or Memni used by Karachi’s old trading families or certain communities. Then there are the versatile languages of north Pakistan such Hindko, Brahwi, Brushuski. Point is, in Pakistan, most people are exposed to all these languages since childhood, it is nothing special for them. However, when you try to learn a new language at adult stage, you begin to appreciate what goes on in the other’s person’s mind whose native tongue is different than yours. How he/she processes that information according to which preset grammatical patterns in his/her mind. everybody started to impress of his own IQ level and the actual subject is lost somewhere. At least i missed the feedback/comments. Great article. I am confused why the ‘herd’ is complaining about this article.